Maintenance of your chipper or stump grinder is essential to ensure the machine is always in top condition and making you money which is why you bought it in the first place. 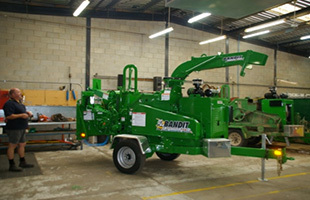 Tree Care Machinery has two fully qualified mechanics who are trained in the correct use and maintenance of Bandit wood chippers and stump grinders. 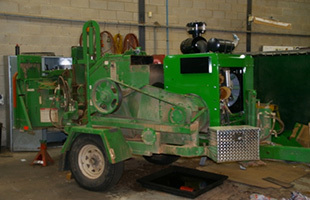 They can promptly attend to your chipper in our Melrose Park workshop, however should you require a full service or more extensive repairs,Tree Care Machinery can supply you with a loan machine to ensure your work programs are not compromised. 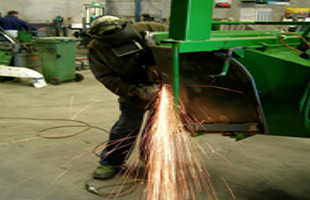 In addition to looking after Bandit’s machines, we provide service, fabrication, maintenance, engineering and spare parts for all brands and models of chippers and stump grinders. Our mechanics, are available in the workshop weekdays from 8am to 4.30pm are even able to completely rebuild machines if required. We are also available 24-hours, 7-days a week for telephone technical support to troubleshoot any mechanical hiccups you may encounter. Tree Care Machinery carries a wide range of spare parts for all models of Bandit wood chippers and stump grinders and what we don’t have we can usually source locally. We know how important it is to keep your machinery working in top condition so we will always endeavour to get you back on the road as quickly as possible. Rebuild after a roll over. Repairs to all makes and models.